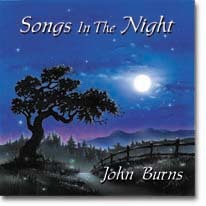 John Burns' first solo Album, "Songs in the Night," is an inspiring collection of 18 songs addressing some of the struggles of every believer written from personal experiences. Newbourne's last release, "More Than Conquerors," carries a message of hope and encouragement to everyone that boldly walks in God's power to overcome Man's worst enemy --- himself. The importance of obedience and following the Lord in faith as a disciple is the underlining theme of this album. This debut Album consists of songs that were performed regularly during Newbourne's evangelistic period of street ministry throughout the Tri-state area.